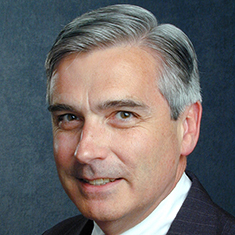 Kevin has served as counsel to the Futures Industry Association (FIA) for more than 20 years. In 2012 he was recognized for his exemplary efforts on behalf of the association and the industry, in particular for his guidance in navigating the challenges confronting FIA member firms in complying with the Dodd-Frank Wall Street Reform and Consumer Protection Act. Kevin served as counsel to the National Futures Association and Futures Industry Institute study that developed recommendations for best practices in order entry and transmission of exchange-traded transactions and has also served as special counsel to a number of futures exchanges. He also was chief counsel of the Division of Trading and Markets of the CFTC for four years. Kevin speaks frequently at industry conferences, has authored numerous articles on commodities and securities regulation and is a member of the Editorial Advisory Committee for Futures Industry magazine. Shown below is a selection of Kevin’s engagements. Regulatory counsel to the Futures Industry Association primarily with regard to matters before the CFTC. Advise clients in preparing and submitting applications for registration with the CFTC as a derivatives clearing organization. Advise clients in preparing and submitting applications for registration with the CFTC as a foreign board of trade. Counsel to a client in connection with its application to the CFTC for designation as the first Internet-based futures exchange.